Fall fashion is everywhere and at this point, a lot of people are confused how to incorporate fall fashion with weather that is still warm. 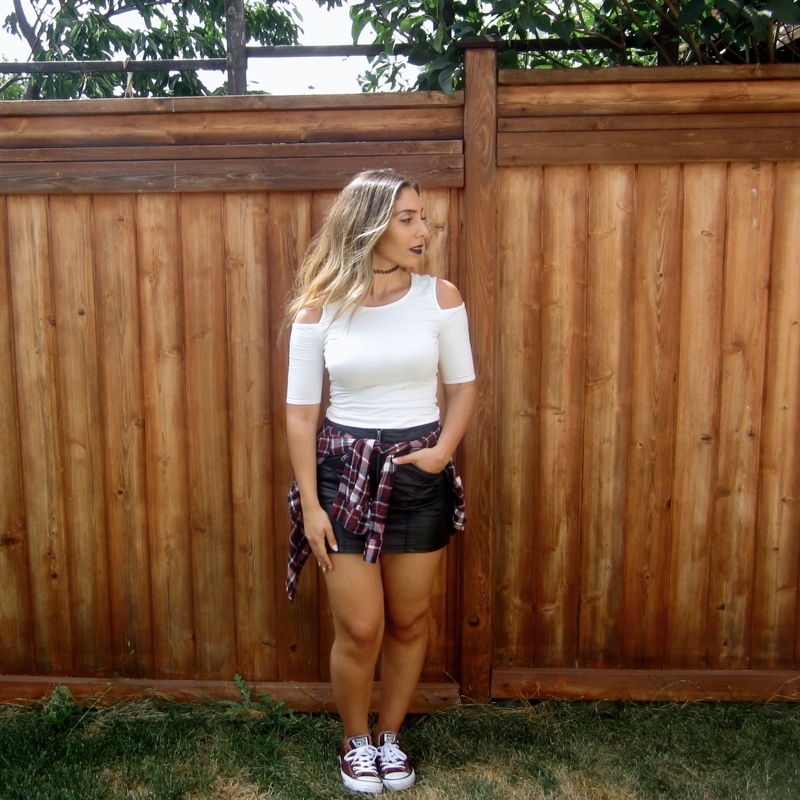 The style of this outfit is a 90s/grunge inspired look which is one of my favourites, especially for the fall time. This outfit features an Express top that is very 90s inspired that has shoulder cut outs in a cream colour. The skirt I am wearing is an older piece from H&M and has faux leather not he sides with coated denim in the middle and a zipper in the middle as well giving it an edgy look. The plaid tied around my waist is from Forever 21 featuring a burgundy colour that matches the burgundy Converse I am wearing. I am also wearing a black choker necklace from Brandy Melville to enhance the 90s vibe I was going for. When it comes to fall colours, burgundy is definitely my favourite colour of them all. The back of this shirt gives me life.